How long will my case take? How much will this all cost? As much as we would love to be able to predict both of these frequently asked questions, it is not something we can see in advance. The course of a case, and thus the time spent and fees charged depends upon the following: both litigants, their respective attorneys, and the Judge (or mediator if applicable). Full disclosure of information, honesty between the parties, and reduced emotions make for a shorter and less costly litigation experience. My partner/spouse controls all of the money and I don’t have money to pay fees, what do I do? There are certain statutes that allow one party to obtain access to funds and resources to pay fees even if those funds and resources may be in the control of one person. 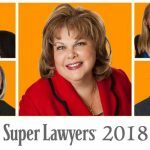 In short, both parties are entitled to equal and adequate legal representation and should not be restricted in hiring an attorney simply because he or she doesn’t have control of assets. 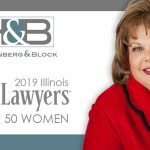 An attorney at Hoffenberg & Block, can speak with you regarding the facts of your situation and discuss your options in accessing funds to pay an initial retainer. A retainer fee is what we charge up front to get started on your case. The retainer fees differ for every case and based upon our assessment of the complexity of the case. A case has a variety of moving parts including, the personalities of the litigants, opposing counsel, and the Judge that is assigned to your case. Some of the moving parts indicate more time needed, whereas others may mean less time. Our goal in assessing an initial retainer fee is to give you a realistic assessment of what the costs will be for us to make initial serious progress on your case. I’m not sure I want to go through with a divorce, can I just get a legal separation for now? The short answer is, yes. You have a choice of filing a petition for legal separation. However, a Court does not have the authority to distribute marital property pursuant to a pending petition for legal separation. The Court can only make a ruling on child support and maintenance. The better question is what do you plan to gain from filing a petition in court? What is your ultimate goal? Hoffenberg & Block can help you navigate those questions to assist you in taking the best first step that makes sense for your needs. I heard the child support statute recently changed, when can I file my petition to have my old support order changed to follow the new statute? The child support statute is changing as of July 1, 2017, to an income sharing model. This new model considers income for both parents and could make significant changes in the child support payments made. However, the new statute expressly states that the mere change in the statute cannot be the basis for the filing of a Petition for Modification of Child Support. This means, there needs to be some kind of substantial change in circumstances as a basis to file a petition, outside of the change of the statute. For example, a substantial change in the payor’s income or in the children’s expenses, or the emancipation of a child. 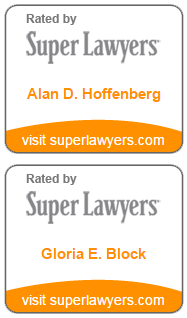 Please contact an attorney at Hoffenberg & Block, LLC to discuss your case and specific facts to determine if your case is a candidate for a modification of support. If I have a shared parenting schedule and my children are with me 50% of the time, is it correct that I won’t have to pay child support? The short answer is no. The new child support statute considers a variety of factors including both parties’ respective incomes as well as parenting time. Additionally, the court has discretion to order other forms of support for the children including payment of uncovered medical expenses, insurance, daycare expenses and extracurricular activity expenses. Sometimes the parenting schedule affects the support amount and sometimes it doesn’t, it depends on the totality of your case and all of the facts. What is the difference between spousal support and child support? Child support is paid by the payor with after tax dollars meaning the payor is first taxed on the money and then pays the net dollars to the payee. In return the payee does not pay taxes on the child support and does not have to report it on taxes. Spousal support (formerly known as alimony and also known as maintenance) is deductible to the payor for tax purposes and taxable to the payee. So if the payor earns $100,000 and pays $10,000 a year in maintenance, the payor will pay federal taxes on only $90,000. Contrarily, if the payee earns an income of $30,000 and receives alimony of $10,000 then the payee pays taxes on $40,000 in total income. Collaborative law specifically eliminates the court system and litigation, based upon the belief that litigants and their attorneys can collaborate together, be honest with full disclosures of information, and work out the best possible solution for the family in its entirety. Collaborative practice is based upon the belief by all involved that a cooperative collaborative effort outside of court allows for a better flow of information and more importantly communication in reaching an effective resolution for the entire family. The attorneys of Hoffenberg & Block are available to answer more questions regarding this process and whether it is right in your case. Mediation can be done prior to entering the Court system, or while already having an active case. Mediation is with a specific mediator, who is unbiased, and seeks to aid the litigants in working out a solution that works best for them. A mediator does not give either party legal advice and does not represent either party. Some mediation can be done with attorneys for both parties’ assisting, and some mediation can be done with just the litigants and the mediator; the method that is chosen depends upon the circumstances, the disputed issues and either party’s comfort level in advocating for his or herself without the assistance of an attorney. 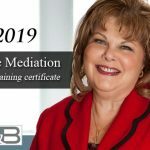 The attorneys at Hoffenberg & Block regularly assist their clients in mediation, as well as assist their clients from behind the scenes in one-on-one mediation. My partner/spouse and I have a full agreement, can we just hire someone in your firm to draft up the paperwork and represent us in Court? The attorneys at Hoffenberg & Block enjoy hearing that the parties have worked out their differences. However, no attorney can represent both parties in a domestic relations proceeding because it would be a conflict of interest. If there is a full agreement, one party can hire an attorney at Hoffenberg & Block, LLC to draft the necessary paperwork in conformity with that agreement and ensure that all relevant points have been considered in arriving at a full agreement and confirm that it is in compliance with the necessary statutes and rules. My income has gone down and I can’t afford to pay support, can I just stop paying? If there is an order requiring you to pay support and you are unable to pay because of a change in your financial circumstances then you need to file a motion to modify your obligation with the Court. The Court cannot consider your right to modify until such a motion is filed even if you are unemployed for years and unable to pay. In such a situation if you don’t file a motion you could be owing thousands of dollars in arrears for prior years. What are my first steps moving forward? The first step is to contact a lawyer, perhaps call a few to make sure that you feel comfortable with the one you ultimately choose. When you call Hoffenberg & Block, anyone who answers the phone will take down your basic information – name, phone number, and basic case information and why you are calling. You can also submit an inquiry through our confidential case evaluation form. 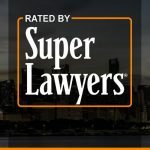 Once someone has confirmed that there is no conflict (meaning your estranged partner or spouse has not already spoken with someone in our firm) then an attorney from our office will contact you. We make every effort to return calls within 24 hours of your initial inquiry, if not sooner.